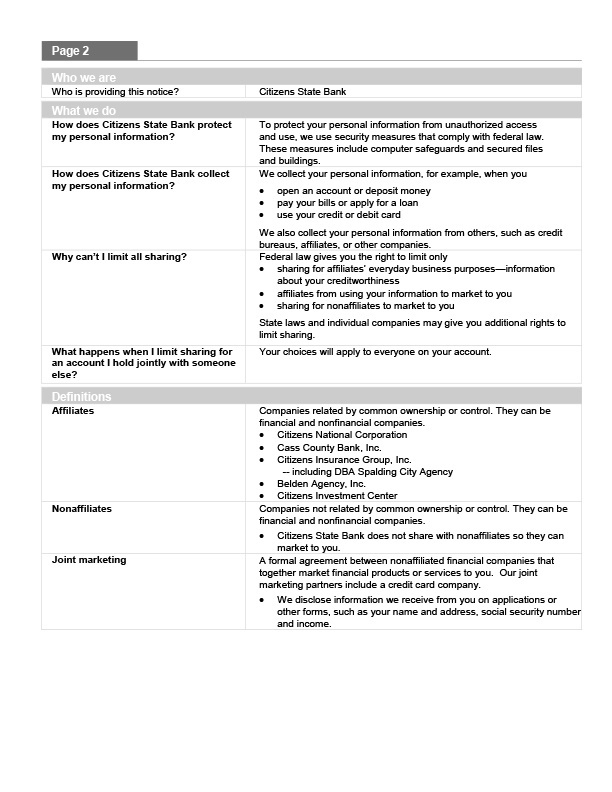 ONLINE SECURITY STATEMENT Our website brings together a combination of industry-approved security technologies to protect data for the bank and for you, our customer. It features a VeriSign-issued Digital ID for the bank’s Internet Service Provider hosting our website, Secure Sockets Layer (SSL) protocol for data encryption, and a router and firewall to regulate the inflow and outflow of server traffic. Secure Data Transfer Once a server session is established on an https secure page, the user and the server are in a secured environment. Because the server has been certified as a 128-bit secure server by VeriSign, data traveling between the user and the server is encrypted with Secure Sockets Layer (SSL) protocol. With SSL, data that travels between the bank and customer is encrypted and can only be decrypted with the public and private key pair. In short, the bank’s server issues a public key to the end user’s browser and creates a temporary private key. These two keys are the only combination possible for that session. When the session is complete, the keys expire and the whole process starts over when a new end user makes a server session. Router and Firewall Secure forms must filter through a router and firewall before they are permitted to reach the server. A router, a piece of hardware, works in conjunction with the firewall, a piece of software, to block and direct traffic coming to the server. The configuration begins by disallowing ALL traffic and then opens holes only when necessary to process acceptable data requests, such as retrieving web pages or sending customer requests to the bank. Using the above technologies, your Internet loan application and check reorder transactions are secure. 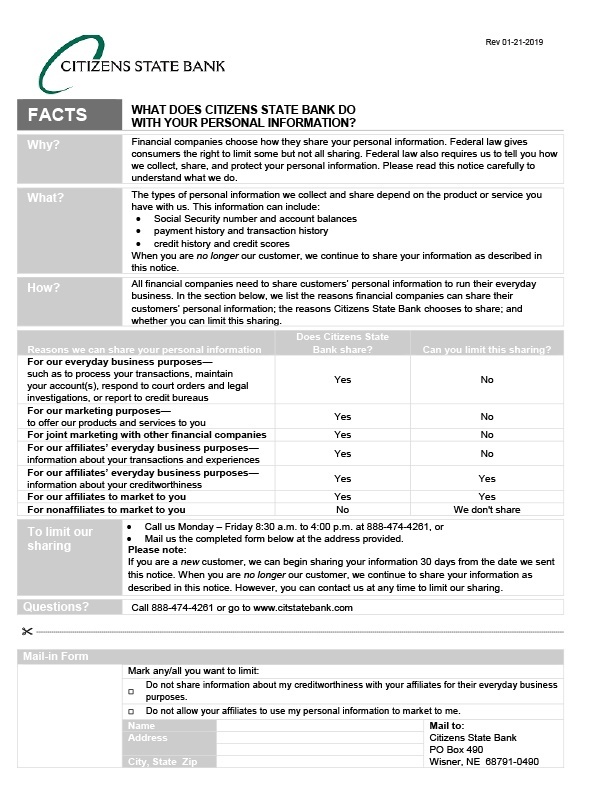 CHILDREN’S ONLINE PRIVACY PROTECTION ACT (COPPA) STATEMENT Citizens State Bank does not knowingly solicit individually identifiable personal information from or about children online, and does not knowingly market products to children online. The Bank fully supports protecting children’s identities and privacy online, and recognizes that the responsibility to do so rests with both the online industry and with the parents.